Julie Murphy Finn is the director of Economic Development and Government Affairs at KBS. 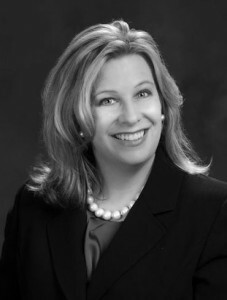 Ms. Murphy Finn has 25 years of experience in local, state and federal public policy and government affairs. Prior to joining the firm, she was director of legislative affairs for Missouri Governor Jay Nixon in the Department of Economic Development, where she was the governor’s principal liaison on economic development issues. Ms. Murphy Finn served for many years as Special Assistant to US House Democratic leader and Congressman Richard A. Gephardt in his Washington, DC and St. Louis offices until his retirement in 2004. She has also served as a legislative or campaign aid to several elected officials, including US Senator Bill Bradley and the late St. Louis County Executive George “Buzz” Westfall. During her tenure as legislative liaison for Governor Jay Nixon, key job-creating bills were passed, including the Missouri Science and Innovation Reinvestment Act and legislation supporting next generation automotive production in Missouri. In addition, Ms. Murphy Finn has played a significant role in some of Missouri’s largest economic development projects including Pinnacle Entertainment’s $900 million investment and the National Geospatial-Intelligence Agency and US Army Corps of Engineers Next NGA West $1.75 billion project in St. Louis. Ms. Murphy Finn’s recognitions include the St. Louis Business Journal top 40 under 40, St. Louis Magazine’s Power List: 100 People Who are Shaping St. Louis, the Lemay Chamber of Commerce Crecelius Award, and she received an honorary plank ownership of the USS Missouri from the United States Navy. Ms. Murphy Finn has an extensive background in community service having served on the Board of Directors for the St. Louis Community College Foundation Board, the South St. Louis County YMCA, the World Bird Sanctuary, and the Lemay Child and Family Center. Ms. Murphy Finn is a graduate of the CORO Women in Leadership program and a lifetime member of the Veterans of Foreign Wars Ladies Auxiliary Post 2866. Murphy Finn earned a Bachelor’s Degree in Political Science from Saint Louis University and completed her Master’s coursework in Public Policy Administration at the University of Missouri-St. Louis. We are a dedicated team helping build solid relationships worldwide. Clients look to us for our knowledge of world markets and our expertise in forging connections that build long-term business success.